Pacific MD (Woodland Hills) - Book Appointment Online! 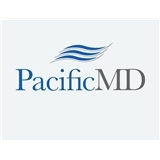 Pacific MD is a fully dedicated primary care clinic that serves the residents of Agoura Hills and its surrounding communities. Our goal is to provide timely, high quality healthcare with a focus on individualizing patient care. Our scheduling allows the opportunity for our doctors to take the time to listen to, thoroughly examine, and educate our patients. We strive to provide increased physician availability as well as patient flexibility with the ability to communicate with your doctor via email and book online appointments at the time that is most convenient to you. We are not part of a large corporate medical group. As an independent physician owned practice, you are guaranteed to have more access to, time with and followup with your own doctor whenever possible. Efficient and friendly staff and doctor! Very happy with our visit.